Mulberry is one of the fruits that is greatly overlooked and has not gained much attention in Kenya. Mulberry has the potential of lifting small scale farmers if it is exploited for various commercial valuable products. Mulberry is a deciduous woody perennial that grows fast and has a deep root system. 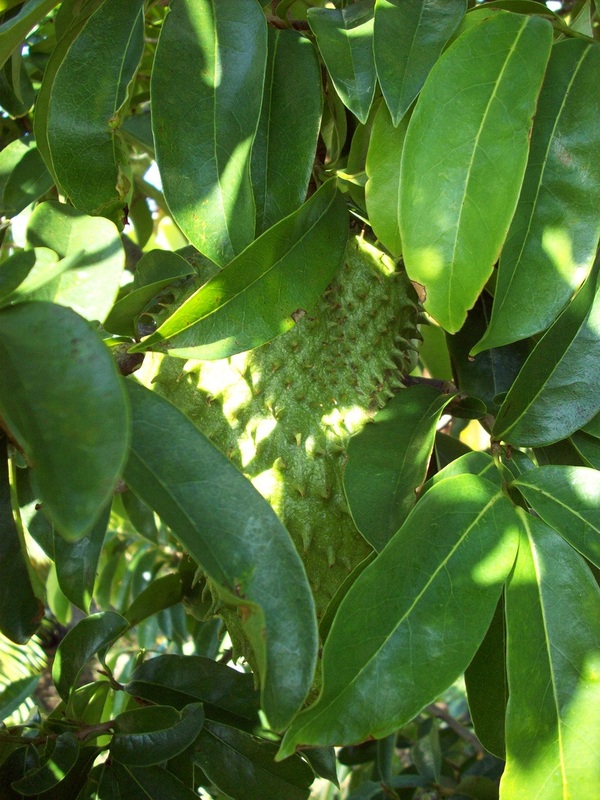 The most predominant species in Kenya is Morus Alba of different varieties that include ex-limuru, ex-embu, s36, kanva 2, ex-thika among others. There is no statistical data on the total area of coverage occupied by mulberry or on any predominant areas that grow mulberry in Kenya. 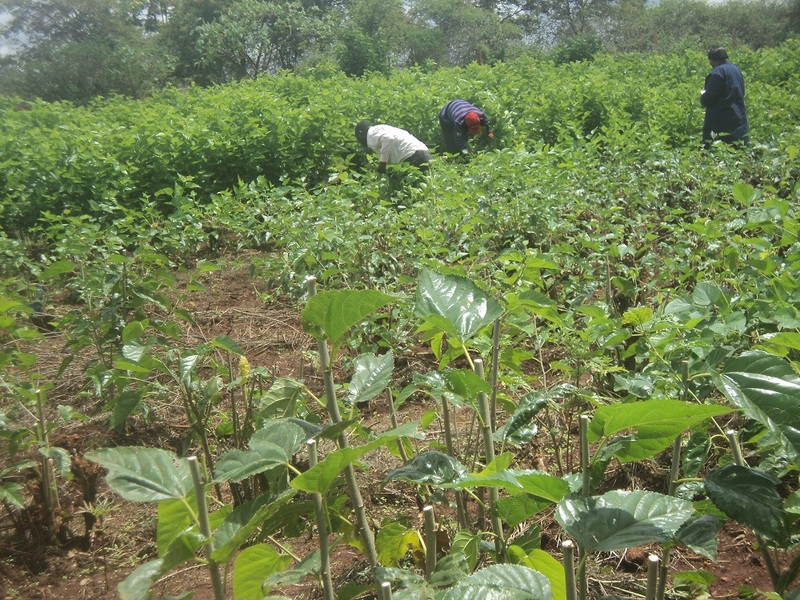 So far we have not come across any farmers who have grown mulberry commercially on large tracts of land; most farmers have grown mulberry as forage in less than an acre piece of land. Mulberry can be grown under different climatic conditions but prefers tropical zones with temperatures ranging from 24-28 degree Celsius. 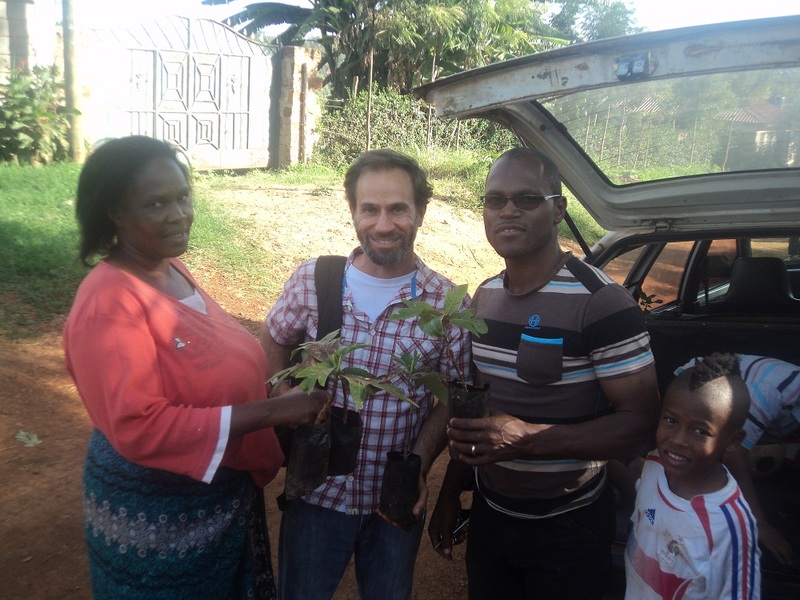 They need adequate water supply, especially when used for sericulture purposes. Rainfall ranging from 800-2000mm is ideal; irrigation is encouraged areas with less rainfall. Mulberry should be in well ventilated areas with enough sunlight for better growth and leaf quality. Mulberry does well in a wide range of soils but prefers fertile well drained soils with a soil PH of between 6.2-6.8. Farmyard manure evenly spread and properly mixed with the soil can be used when planting. A quarter an acre can accommodate 3556 plants with a spacing of 5 X 2ft. A mulberry plant takes 6-12 months to be well established and pruning is required as the plant grows. There are many products with medicinal value that can be derived from mulberry leaves and fruits. 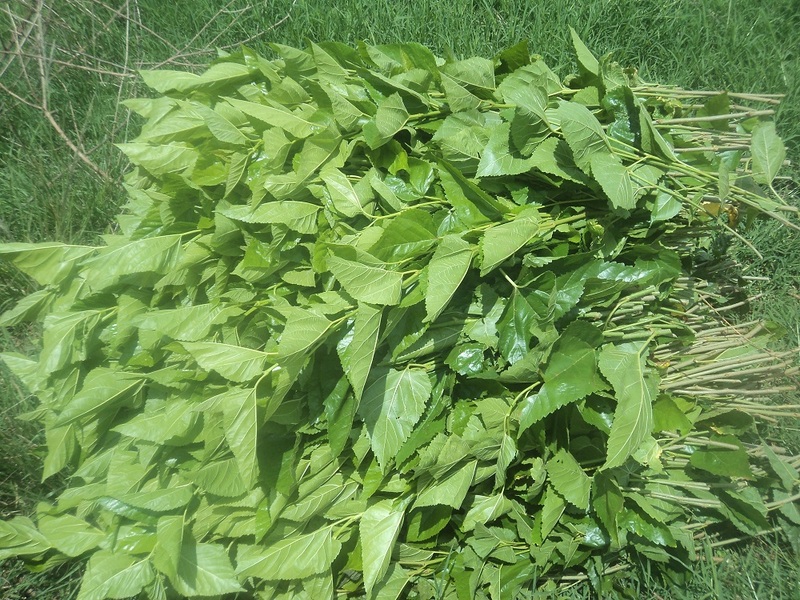 The leaves are used by some farmers as animal feed especially for cattle and rabbits. 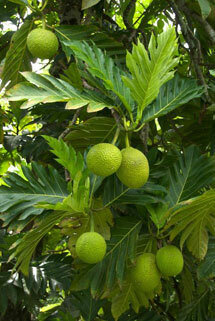 The fruits are used for making jam, jelly, fruit sauce, cake, food color, yoghurt, wine and juice. Both the fruit and leaves are dried and packaged for sale. 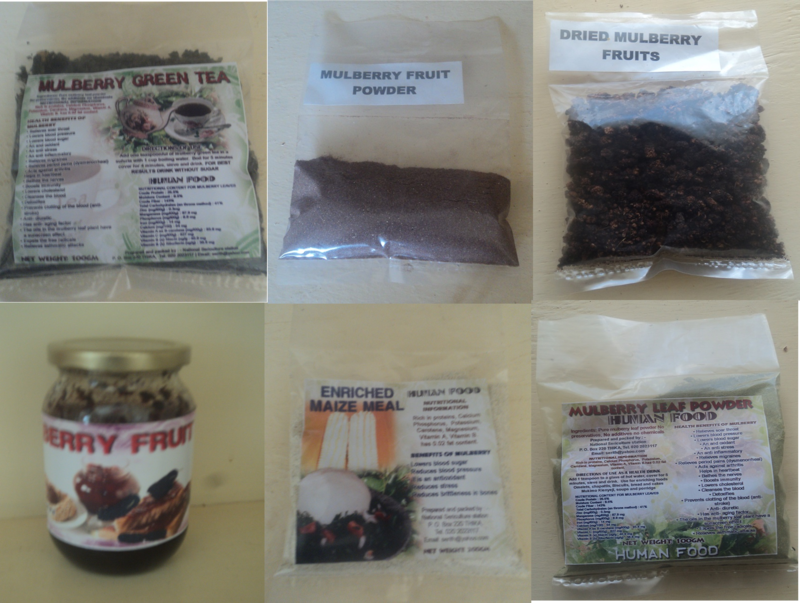 Dried leaves are used to make mulberry green tea and dried fruits are crushed into powder. 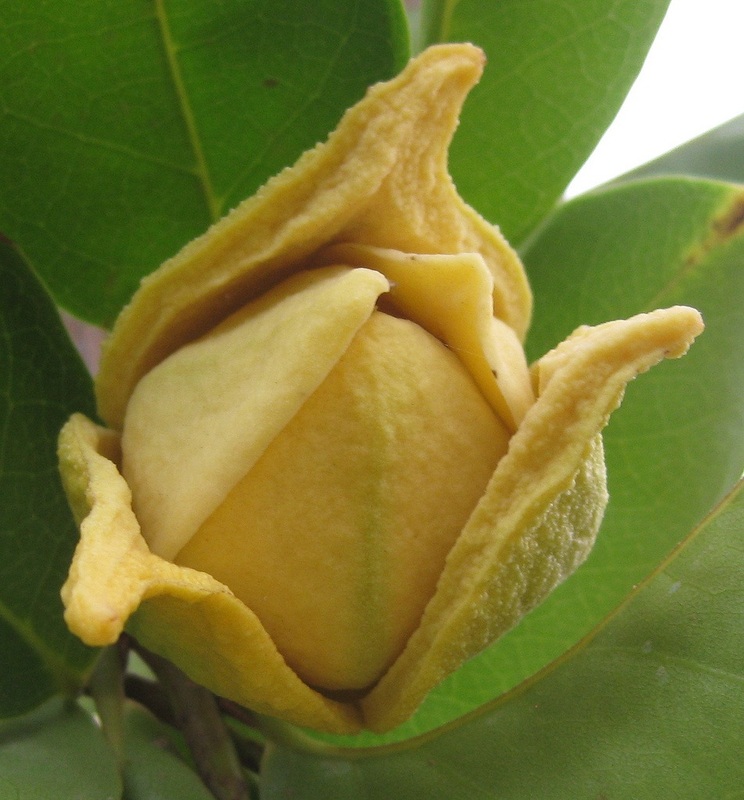 The fresh fruit has medicinal value and has for a long time been used to prepare syrup and treat sore throat, high fever and depression. The mulberry fruit tree has tremendous potential due to its many uses; everything from the leaves to the roots can be added value if industrially exploited. 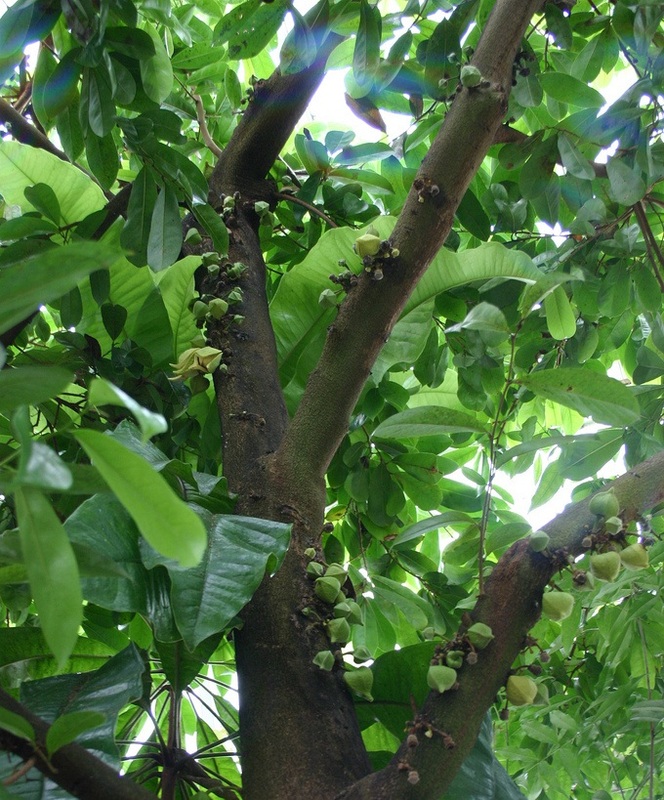 The tree can be inter-cropped with other plants and serve as a good companion to grapes or passion fruit, its hard stalks supports climbers. It is also used widely for landscaping, they provide a good view if properly pruned. This single plant, if exploited can give rise to different income generating micro enterprises that will lift living standards and create jobs for the many youths who are unemployed.